Power up your Apple Watch Series 3 in style with our top picks for best chargers and stands. From pocket-size, portable chargers to sleek, modernist stands and cases, Cult of Mac Watch Store has your Apple Watch Series 3 charging needs covered. We’ve rounded up our favorite stands and docks for Apple Watch Series 3 from some of the best brands on the market — Nomad, Zens, Twelve South, Just Mobile and more. Plus, a number of new brands including Amber and Proper. Whether you’re on holiday, on the go, at work or at home, we’ve got a charging solution to fit your needs. Check out our great lineup below. 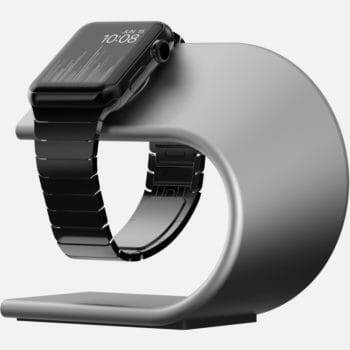 Bobine WATCH is the most flexible charge dock for Apple Watch. Easily position your Apple Watch dock in nearly infinite locations. You can even top off your Apple Watch battery while you’re on the move with the included auto dash clips. 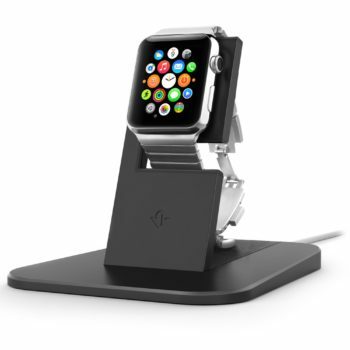 Charge Apple Watch within view on your nightstand, desk, or while driving with the included Dash Stabilizers. Each stand is machined from a single solid billet of aluminum. Precision-machined, polished, bead-blasted and anodised for a beautiful matte finish. 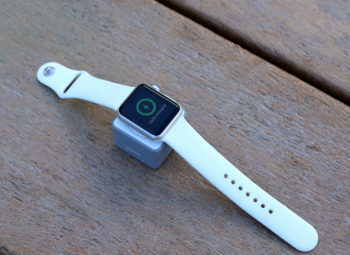 Place Apple Watch on stand and the magnetic charging cable will gently hold the watch in place. 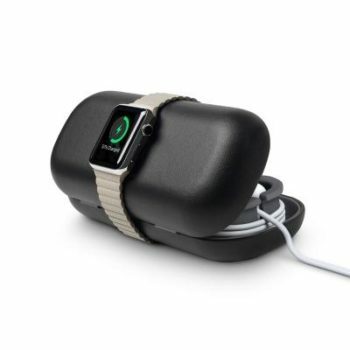 Charge and protect your Apple Watch with this innovative and stylish portable power bank. With its secure fit, Amber will ensure that Apple Watch’s magnetic charger remains secure. This pocket-size charger by Zens is the smallest and lightest external battery pack we’ve seen. Measuring just over an inch cubed, this ultra-portable charging puck has its own built-in magnetic power adapter and a 1,300 mAh battery. 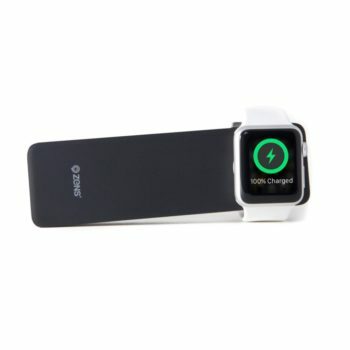 ZENS Powerbank lets you charge your Apple Watch and iPhone simultaneously, and is completely portable! 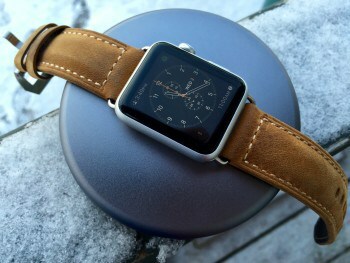 It has a 4,000 mAh battery, and fits any watch band. With a slim, minimalist design, the ZENS Apple iPhone/Watch Powerbank is a great way to charge your iPhone and/or Apple Watch at home, work or on holiday. 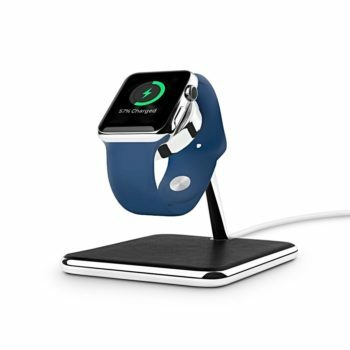 iew of this modern charging stand for Apple Watch. 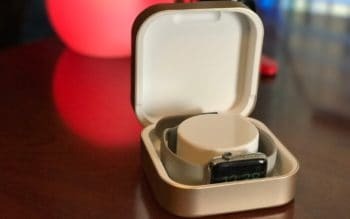 The Nomad Pod Pro for iPhone and Apple Watch is a minimalist charging puck that packs 6000 mAh of power into a compact design. The portable pod comes with a 9-inch Apple Lightning cable to charge your iPhone as well as a Micro USB cable to fire up the Pod Pro itself. 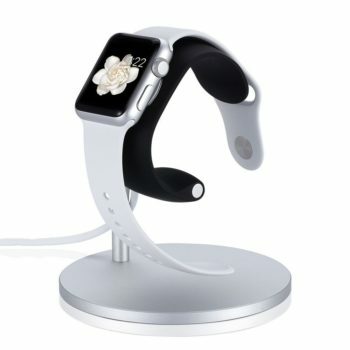 HiRise for Apple Watch is an elegant, modern stand that showcases your beautiful new timepiece while you charge it overnight. 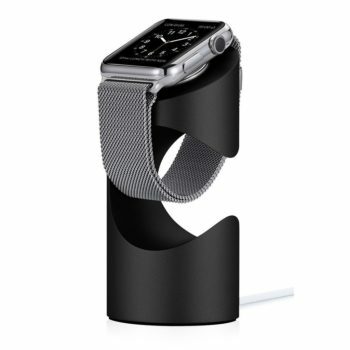 The sturdy HiRise holds any Apple Watch at a stable height and angle that lets you interact with your watch while it’s charging. Stand comes in either Black or Silver. TimePorter for Apple Watch sets the standard for how you carry your essential Watch accessories. This gorgeous capsule is both a case and a stand. TimePorter holds your charging cable, an extra Watch band, your USB charger and more in a neatly designed, silicone-lined case. 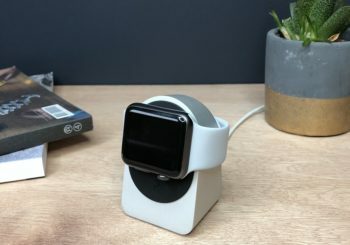 LoungeDock is the multi-purpose dock for Apple Watch. 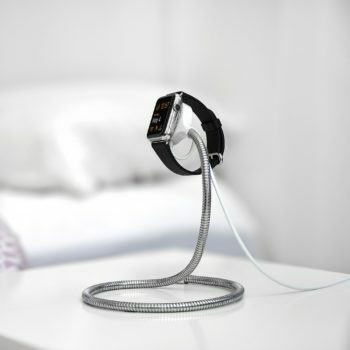 Simply slip your magnetic charger into its moulded recess and strap your Watch to the soft-touch cuff, and you have an eye-catching charging stand that will take pride of place on any desktop or bedside table. 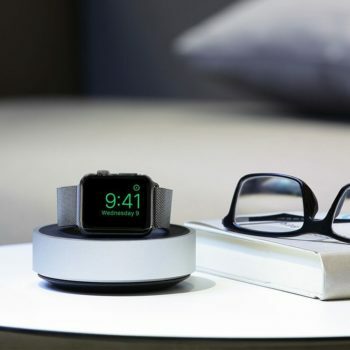 HoverDock is the low-profile charging bed for Apple Watch. With an integrated support for Apple Watch’s Magnetic Charging Cable, HoverDock keeps your precious timepiece safe, powered up and always ready to double as bedside alarm clock. Design-award-winning TimeStand is the striking aluminum charging pedestal for Apple Watch. Precision machined from a single cylinder of high-grade aluminum, its distinctive circular cut-out gives it a dramatic profile even when empty. Slip your Apple Watch magnetic charger into its rubber-lined recess and TimeStand becomes the most iconic charging stand available. Comes in Black or Silver.